During the last Summer Olympics in 2008, the mobile landscape wasn't close to being where it is now. With smartphones and tablets ruling the world, and with these handheld devices loaded with powerful technology, the upcoming 2012 Summer Olympics in London is really the first to fully take advantage of mobile devices. We've already told you about an app that will give results and medal counts, but now NBC has introduced two apps for both Android and iOS that take the Olympics with you wherever you go. 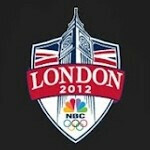 NBC Olympics is the app to turn to for news, medal counts, athlete bios, highlights, event and television schedules. But the coup de grace is NBC Summer Olympics Live Extra.. 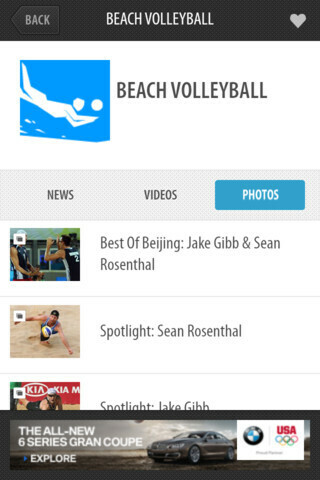 This app will offer streaming video of every medal event. Let us repeat that. This app will offer streaming video of 302 events. That works out to over 3,5000 hours of competition, 32 sports and is available thanks to a partnership between Adobe and NBC which got together in a Flash to put this all together. You even become the director as NBC Olympics Live Extra will provide multiple streams dedicated to a specific sport. For example, for Track and Field you can decide to watch one stream as the athletes move from event to event, or you could decide just to watch the javelin or the long jump. This is available on select sports such as gymnastics (each apparatus), track and field (each event), and tennis (up to five courts). The streaming video will be available to those who are verified cable, satellite or telco subscribers. You will need to download the app, tap on "Touch Here and Get Ready," enter the cable, satellite or telecom firm you use, enter the user name and password associated with the account and that's it! You will be taking the 2012 Summer Olympics with you wherever you go. The streaming video and all of the apps themselves are free and can be downloaded from the App Store and Google Play Store. 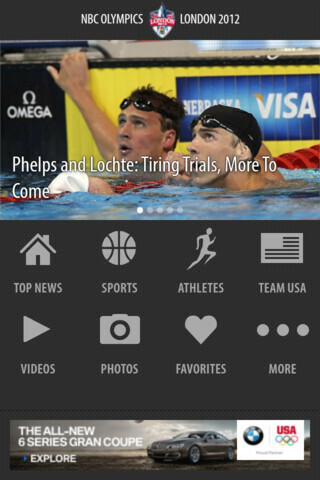 NBC Olympics (iOS), (Android); NBC Olympics Live Extra (iOS), (Android). NBC Olympics Live Extra, will allow cable, satellite and telco customers to live stream more than 3,500 hours of content, including all 32 sports, every athletic competition and all 302 medal events. The second app, simply titled NBC Olympics, will provide short-form highlights, TV and online schedules, live results, columns and the new Primetime Companion feature -- the ultimate complementary, second-screen experience for NBC's nightly primetime Olympic broadcasts. The NBC Olympics Live Extra app will live stream every athletic competition for the first time ever. In all, the app will live stream more than 3,500 total programming hours, including all 32 sports, the awarding of all 302 medals and event rewinds. NBC Olympics Live Extra will also live stream the Olympic content that airs on the four NBCU cable channels -- NBC Sports Network, MSNBC, CNBC and Bravo. 6. You are signed in throughout the Games on that device! NBC Olympics Live Extra is available for free from the App Store on iPhone, iPad and iPod touch or at www.itunes.com/appstore. It is also available for free from Google Play on select Android devices or at www.play.google.com. NBC Olympics is available for free from the App Store on iPhone, iPad and iPod touch or at www.itunes.com/appstore. It is also available for free from Google Play on select Android devices or at www.play.google.com. Much appreciated NBC, the only question I have is will these and future apps allow TV companies to increase viewership with or without a bump in the ratings? also not compatible with evo3d. what phone IS this compatible for? 3 Phones I have in my list for the playstore. Not compatible with my Hero(Sprint), EVO3D, or even my new EVOLTE :(( Useless app I guess.